House Bill 63 Firearm in Locked Motor Vehicle/Parking Lot. The Chamber’s monthly Focus Friday program will feature discussion led by Brian Sisson, former Huntersville Town Board Member and Owner of The Range at Lake Norman who will speak in favor of the bill and gun rights. Mohammad Jenatian, president of The Greater Charlotte Hospitality and Tourism Alliance will present “property owners” rights and why the bill should not be approved. The event will be held Friday, April 29 from 8-9:30 am at the FLATIRON Kitchen & Taphouse in Davidson. A light continental breakfast will be served with the FLATIRON serving as the event Food Sponsor and CorneliusNews.net / DavidsonNews.net serving as the Focus Friday Presenting Sponsor. While there is no cost to attend, the Chamber asks that those interested in attending RSVP by visiting the Focus Friday event registration on the website under This Month’s Events – Focus Friday or by calling the Chamber at 704-892-1922. Lake Norman Chamber members and their guests are invited to a special networking mixer at the Peninsula Yacht Club on Lake Norman this Friday, from 5:00 to 8:00 PM. This special open house will include light Hors d’oeuvres, musical entertainment, refreshments and tours. Music by Wally & Dave will highlight an afternoon on the water as businesses and guests have the chance to socialize and network on beautiful Lake Norman with the Peninsula Yacht Club as the backdrop. You must RSVP to Sue Riessett at 704-892-9858 ext. 31. Each year since 1963, the President of the United States has proclaimed National Small Business Week to recognize the contributions of small businesses to the economic well-being of America. During the week, we will recognize a Small Business of the Year. If you have a nomination for the award or would like to nominate your own business, Visit Lake Norman Chamber Small Business of the Year. Many members are following me via social media at Linkedin and perhaps are participating in the Chamber’s Group on Linkedin following discussions and posting business tips. One feature of the site is the recommend reading and several of you follow my reading list. I am currently reading a book called Twitterville which discusses the creation of Twitter and how businesses are using this important social media to promote their business in a conversation versus traditional marketing. I use Twitter to keep members informed on community and legislative issues, upcoming chamber networking events and programs. If you are a Twitter user, consider following my Chamber post @LKNChamberprez. Charlotte Travel and Tourism leaders, including Mecklenburg County Parks and Recreation have a goal to make the Charlotte Region the Amateur Sports Capital of the South. Plans to build the largest youth baseball facility in Mooresville may make that dream a reality. Join us as we hear presentations from Mecklenburg County, Cooperstown Dreams Park, and Visit Lake Norman on this dynamic vision for our region! The luncheon will take place Friday May 13, 2011 at 11:45 am at the Havana Banquet and Ballroom 8325 Copley Drive – Kenton Place in Cornelius. Register online at PowerLuncheon. While legislative leaders in Raleigh are considering HB508 which would secure funding for Visit Lake Norman and remove travel and tourism, and that organization, as a political football tossed around each budget cycle, local business leaders continue to voice their support for the state legislation. Frank Free, owner of Lake Realty and a former Huntersville Town Commissioner, recently wrote an editorial urging our local town boards to support the state legislation. Frank was on the Huntersville Town Board that entered into the partnership between the Chamber and North Mecklenburg Towns in 1994 that created our Visitors Center and he has seen first hand how Visit Lake Norman has grown into an effective travel and tourism authority. Letters of support for Visit Lake Norman are shared with members of our state delegation including North Carolina House Speaker Tillis. 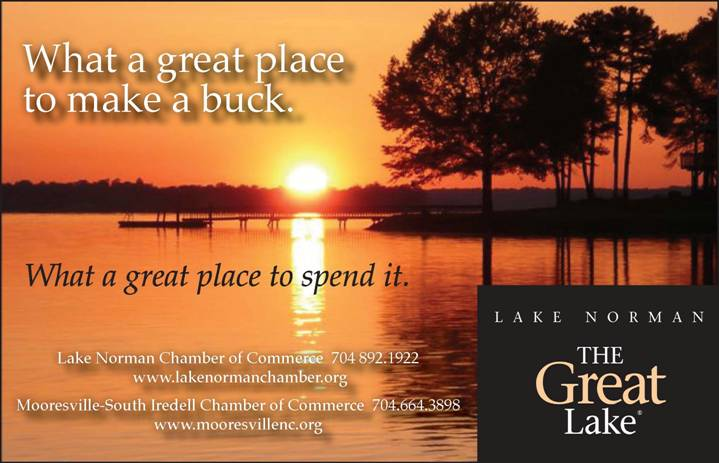 We encourage you to continue to voice your support of an effective economic development authority which is creating visitors spending and jobs in our community – Visit Lake Norman. Editorials can be sent to The Herald, The Citizen, DavidsonNews.Net, and Business Today. Last night, I was privileged to represent the Chamber as a recipient of the 2011 Business Leader of the Year Awards Dinner in Charlotte. I was one of 24 other Charlotte business leaders including Humpy Wheeler. While my name was called out, the recognition itself is for our Chamber. I cannot say enough about our small but dedicated staff. Janet Rollins is the back bone of this Chamber of Commerce. Her touch is evident on every program we present. Jack Stevens, while new to our staff, has become that warm, encouraging, and informative voice on the other end of the phone or in person if you stop by. We have perhaps the most dynamic and energized group of Chamber Ambassadors we have ever been fortunate to have representing our organization involved in every program and event we host. This year marks 16 years at the helm of your Chamber. Each year I am blessed with an outstanding Board of Directors who provide leadership and vision but who have embraced new approaches and sometimes stepping out supporting challenging and controversial issues when it would be far easier to avoid the criticism and settle for mediocrity. However, that’s not in keeping with the leadership of our Chamber or the members we represent. I am so fortunate to live and work at Lake Norman and I thank each of you for that opportunity. Chamber members and guests will have a chance to weigh in on a controversial bill in the North Carolina General Assembly: House Bill 63 Firearm in Locked Motor Vehicle/Parking Lot. This is a Parking Lot/Employee Protection Bill that was introduced by N.C. State Rep. Phil Shepard (R-15), Mark Hilton (R-96), George Cleveland (R-14) and Jeff Barnhart (R-82). It would establish that businesses cannot prohibit citizens from parking a car on a private parking lot because firearms are secured in the vehicle. The bill has been assigned to the North Carolina House Committee on Judiciary Subcommittee. The Chamber’s monthly Focus Friday program will feature discussion on the bill led by Brian Sisson, former Huntersville Town Board Member and Owner of The Range at Lake Norman who will speak in favor of the bill and gun rights. The Greater Charlotte Hospitality & Tourism Alliance will furnish a speaker to present “property owners” rights and why the bill should not be approved. The event will be held Friday, April 29th from 8-9:30 am at at the FLATIRON Grill and Tap House in Davidson. A light continental breakfast will be served with the FLATIRON serving as the event Food Sponsor and CorneliusNews.net and DavidsonNews.net serving as the Focus Friday Presenting Sponsor. Hilary Broadway, the Chamber’s Public Policy Chairman will facilitate the event. While there is no cost to attend, the Chamber asks that those interested in attending RSVP by visiting the Focus Friday event registration on the website under This Month’s Events – Focus Friday or by calling the Chamber at 704-892-1922. House Bill 422, which would have required the N.C. Department of Transportation to receive legislative approval for any federal grant for rail projects requiring more than $5 million in state matching funds or future maintenance and operation costs, passed out of the House Transportation Committee this week. However, before it did so, it was amended to ease that restriction. As amended, HB 422 now requires NCDOT to report and consult with the General Assembly before accepting a federal rail grant meeting the aforementioned standards. The department is no longer required to receive legislative approval before accepting such a grant. Rep. Becky Carney offered an amendment to make the bill less restrictive. However, the bill must still progress through at least one more committee and the House floor, and similar language exists as a special provision in the budget, so the issue remains very much alive. The Town of Huntersville voted this week for the town manager to begin discussions which could create an Interlocal agreement between the towns andVisit LakeNorman. Their support mirrors recommendations the Town ofCorneliushad for the Visit Lake Norman Board to approve and it was undetermined as to whether Huntersville was likewise offering them as recommendations or stipulations. The recommendations speak to operations, finance, governance, and marketing and are perceived by many in the travel and tourism industry as the public sector going too far in micromanaging a bureau which has been proven to be an effective, efficient, and accountable organization to both the towns and the industry. CVB’s across the country, but more importantly here in North Carolina, are not subjected to that degree of local control, when in fact the major stakeholders and direct beneficiaries of the CVB’s efforts are the hotels and restaurants themselves. The biggest concern is still an Interlocal agreement with the towns is simply a “handshake” agreement which can be undone with a simple majority of vote by any town at any time. In nearly every N.C. community in which a Convention and Visitors Bureau operates, funding is legislated by Raleigh and the CVB receives nearly 100% of those hospitality dollars to generate visitors spending and serve as a significant catalyst for economic development. Town officials have widely criticized Visit Norman for trying to keep a six-month operating reserve in place. This week, Huntersville Town Commissioner Ken Lucas himself pointed out, “Imagine if your whole source of funding was based on a handshake from a politician.” Commissioner Lucas underscores why Visit Lake Norman leaders created the reserve and why the Interlocal agreement is simply not a solution. The last three months have seen town leaders, business leaders, and hospitality officials debating what should not even be a subject of debate. VisitLakeNorman’s Annual Report speaks volumes to its efficiency and hospitality leaders have gone on record time and again pointing to the bureau’s effective role in creating events which increase hotel and restaurant revenue. The disappointment to me as a chamber of commerce executive is that we have debated this topic since 1994, two years before I arrived on the scene with the chamber. Each budget cycle, the funding of Visit Lake Norman is trotted out pitting business and elected leaders against each other in what is the proper use of hospitality tax dollars which must be spent on travel and tourism purposes. Remember these are not taxes generated by residents who live here, but out of state guests in which our local elected officials have no jurisdiction. Yet some continue to represent these dollars as “taxpayer dollars” and could be spent on town needs unrelated to the promotion of travel and tourism. Simple political spin and not true! This political rancor must end in the only means possible and that is by legislation in Raleigh which settles how our local Convention & Visitors Bureau is funded and how those limited dollars can be spent. Then we as community and business leaders need to focus on how we fill empty store fronts, create employment in our community, and put people to work. Far too much time is wasted unnecessarily on this topic which has been used by some for their own private agenda. Lake Norman Chamber members and their guests are invited to a special networking mixer at the Peninsula Yacht Club on Lake Norman Friday, April 29th from 5:00 to 7:00 PM. 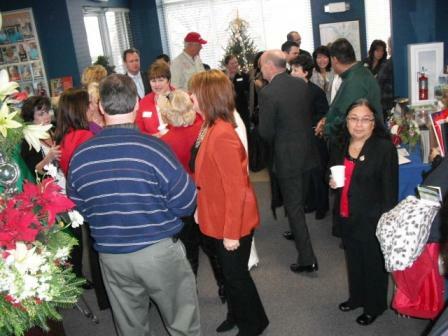 This special open house will include light Hors d’oeuvres, musical entertainment, refreshments and tours. Music by Wally & Dave will highlight an afternoon on the water as businesses and guests have the chance to socialize and network on beautiful Lake Norman with the Peninsula Yacht Club as the backdrop. You must RSVP to Sue Riessett at 704-892-9858 ext. 31. Each year since 1963, the President of the United States has proclaimed National Small Business Week to recognize the contributions of small businesses to the economic well-being of America. During the week, we will recognize a Small Business of the Year. If you have a nomination for the award, or would like to nominate your own business, Visit Lake Norman Chamber Small Business of the Year. Just weeks after launching a joint branding campaign, both the Mooresville South Iredell and Lake Norman Chambers are receiving a great deal of news coverage in our local media on efforts to co-brand the region. There was an interview on WFAE as well as The Charlotte Observer and the campaign was the subject of an editorial in Business Today. Editor Dave Yochum not only addressed the campaign but he wrote about challenges that were discussed in last month’s Focus Friday on Emergency Service Districts and lake patrol in particular. I wrote a Letter to the Editor which was published in many of our local papers and the banner ad is featured on the Chamber website and appears as an advertisement in Business Today Magazine this month. The campaign will feature businesses, education, NASCAR, and the diversity of the people who live and work in the Lake Norman region. A marketing committee composed of business members from the two Chambers of Commerce will continue to evaluate the campaign and create ads which tell the story of our dynamic region. It has been reported in The Lake Norman Citizen and The Herald Weekly that a Bill has been drafted in the North Carolina Legislature (House Bill 508) which would codify into law the existing funding of Visit Lake Norman (28% of the accommodation tax and 25% of the prepared meals tax). These are taxes that are levied on the hotels and restaurants and it is mandated it must be spent on travel and tourism. Many of the surrounding Convention & Visitors Bureaus receive 100% of the accommodation tax. Mecklenburg is unique in that the three North Mecklenburg towns receive it although they must spend it on tourism. It is likely, had there been a chamber of commerce or convention and visitors bureau in 1983 when this tax was levied, those funds would have been designated to the appropriate organization. In 1994, the Lake Norman Chamber entered into an agreement with the towns receiving $200 per hotel room for the marketing and promotion of the region. 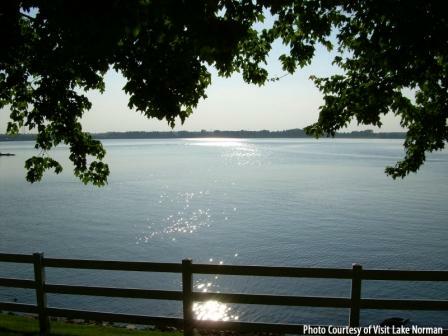 In 2001, Visit Lake Norman was created to serve that purpose and create events which would generate visitors spending. At that time they received 50% of the accommodation tax and 25% of the prepared tax. That funding level has dropped precipitously over the last decade. Lake Norman area hotel owners, concerned at the direction funding had taken over the last decade along with discussion concerning Visit Lake Norman, led to the introduction of the legislation which will give greater certainty to the tourism bureauâs finances, allowing it to plan for future events, and give the hospitality industry a voice in the taxes they generate. North Mecklenburg is one of the few areas in which these dollars are controlled locally and it has pitted the hospitality and business community against the towns since 1994 when there was a North Mecklenburg Travel and Tourism Council led by then Comfort Inn owner Greg Panos. Simply, the issue of travel and tourism taxes and the funding of Visit Lake Norman should be removed as a political issue. There can be no real debate as to the effectiveness of Visit Lake Norman bringing events to the region, nearly $25 generated for every $1 invested. Anyone who may question that can simply ask a hotel owner who can attest to their role. While Visit Lake Norman should be entitled to 100% of these dollars, the organization is only requesting 28% of the accommodation tax and 25% of the prepared meals tax – far less than what industry leaders would actually like to see. It is time that this issue is settled in a manner an interlocal agreement simply cannot address. A town agreement is not binding on a future board and can be overturned by a simple majority vote of any town at any time. It is time to remove Visit Lake Norman as a political football for each town budget cycle and let them get back to the business of generating events and bringing dollars to our region. An issue which began as one dealing with towns and taxes has evolved into one which is about Community and Commerce. This legislation will ensure the future of travel and tourism, stimulate our area commerce, and bring us back together as a community. Then we as business leaders and town officials can focus on the bigger picture of transportation improvements, local commerce, education, quality of life and putting people back to work! This next Focus Friday program will examine House Bill 63 Firearm in Locked Motor Vehicle/Parking Lot. Brian Sisson, former Mayor Pro tem for the Town of Huntersville and Owner of The Range at Lake Norman will speak in favor of the bill and gun rights. The Greater Charlotte Hospitality & Tourism Alliance will furnish a speaker to present property owners rights and why the bill should not be approved. The event will be held Friday, April 29th from 8-9:30 am at the FLATIRON Kitchen & Taphouse in Davidson. A light continental breakfast will be served with the FLATIRON serving as our Food Sponsor and CorneliusNews.net and DavidsonNews.net serving as our presenting sponsor. Hilary Broadway, the Chamber’s Public Policy Chairman will facilitate the event. A Potentially burdensome new record keeping requirement facing small business owners has moved closer to repeal. The U.S. Senate passed legislation last week, H.R. 4, which would end the “1099 requirement” included in the federal health-reform package. The bill now awaits President Obama’s action. In his State of the Union address, the president said he would seek repeal of the requirement. Representatives from the Lake Norman Chamber met with lawmakers in Washington DC last September asking our federal delegation to support the repeal. After hearing opposition from the public, including business leaders, local elected officials, and environmental groups, the House Transportation Committee did not vote on House Bill 422 last Tuesday, April 5, for the second week in a row. The measure, which would require North Carolina to refuse the nearly half billion dollar one-time federal grant for rail improvements between Charlotte and Raleigh, does not appear to have the necessary support to pass, and is not currently scheduled for any future committee votes. Senator Bob Rucho announced during the Charlotte Chamber’s 2011 Transportation Summit that he didn’t believe the Senate would agree to refusing the funds. He said they would likely consider a bill that would preclude state agencies from accepting federal money that would obligate future state operating funds. Great networkers understand that what you provide for someone else often comes back many times in return. 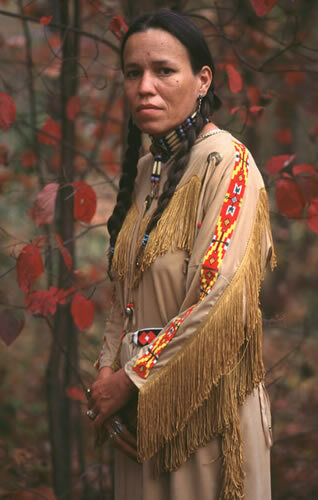 In simple terms, I do something for you and perhaps you can do something for me. Too often aspiring networkers head off to that Chamber of Commerce after or before hours, or that business leads group, in the hope of meeting more people to sell their products. The more folks they meet, the more opportunities they have to sell. Effective networkers build relationships, they do not sell products. It is a process based on communication and trust. Imagine you are building a home – a home which sits on a firm foundation of integrity, built brick by brick. Our relationships are built much the same way as we create a lasting relationship built with each contact, each single communication one instance at a time. In 1993, I was hired at my first Chamber of Commerce in the low country of South Carolina. My Chamber Chairman Gene King imparted on me at the time, “It’s not how much you know or for that matter what you know, but who you know that will open doors of opportunity for you.” While I agree with that statement, I’ve always thought it might also be who you know, that trust you, that may can connect you to someone else who opens that door of opportunity for you. You want to create a network of people who champion your cause and that too is made possible by strong relationships. 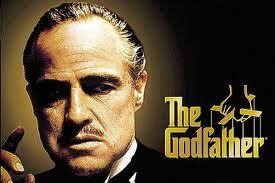 Gene King was also aware of another basic premise of networking and that is the law of expectations. The very best networkers, those who excel in the life skill regardless of their vocation or hierarchy in their business, understand what happens when we give without expectations of receiving something back in return. Quite simply, it’s not what we gain by our acts of charity or assistance, but what we become when we help others achieve their goals and their personal best. Certainly King, from Holly Hill (SC), worked to make his community and the region a great place to live and work. He sought to inspire and motivate others and was the driving force in creating the Tri County Region Chamber of Commerce impacting a great many lives today. The following is a Letter to the Editor which was published in several Lake Norman area papers in response to a branding campaign coordinated by the Mooresville South Iredell and Lake Norman Chambers of Commerce. I have visited the northern Great Lake region several times and enjoyed the scenic beauty our Great Lakes offer. I marveled at trucks and cars driving over frozen Lake Michigan. They are indeed majestic “Great Lakes.” Perhaps I am a fair weathered guy but I cannot envision myself drilling into the ice to fish in the bone chilling cold. Those dedicated anglers watching the scenery walk by bundled in their parkas and mitts. I much prefer fishing off the back of a Ranger Bass Boat at Lake Norman. The sun gently kissing the back of my neck, listening to Buffett, Beach, or a colorful country classic as much more alluring scenery passes by – often in the same season of the year! As a product of the Carolinas, I know it causes some degree of anxiety for those on the west coast that “The USC” is in Columbia, South Carolina. Likewise for people of the south, real barbecue is pork, mustard or vinegar base, not chopped up beef with some tangy ketchup slapped on it. While we can debate which state university should bear the name “Carolina” or whether New Jersey is really “The Hot Dog Capital of the World,” – it is not debatable for me that we live and work in a great community.